January is fast coming to a close and that’s a reminder to start thinking about our February and March courses as well as our popular Minecraft tournaments! 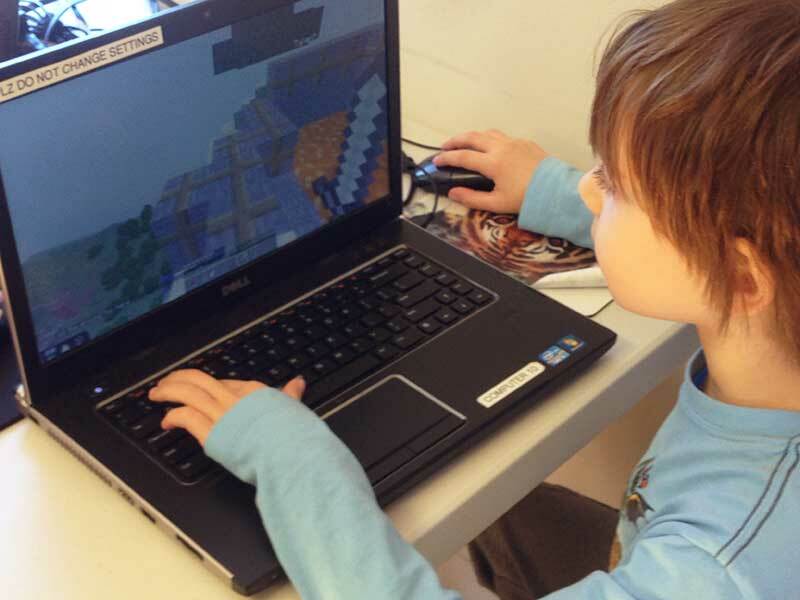 We are offering ONLY 2 dates this academic year for our Minecraft Tournaments at the Academy. The first one is scheduled for NEXT Saturday, January 27, 1:00-4:00pm. These tournaments are such a FUN way for kids to connect with other like-minded kids over friendly competition. The participants are grouped by grade and winners for each group are awarded trophies. Light snacks and drinks are included in the registration fee. These are popular events and registration is a must (and non refundable). February courses begin the week of February 5 … that’s only a couple of weeks away! NEW for February is our very special Virtual Reality (VR) course for kids in grades 4 to 8. VR (and AR or Augmented Reality) are the next big things in technology especially as the cost of the equipment steadily drops making it more affordable for most families. (Stay tuned as we’ll be writing a primer on the types of VR equipment available if you are interested in purchasing one). 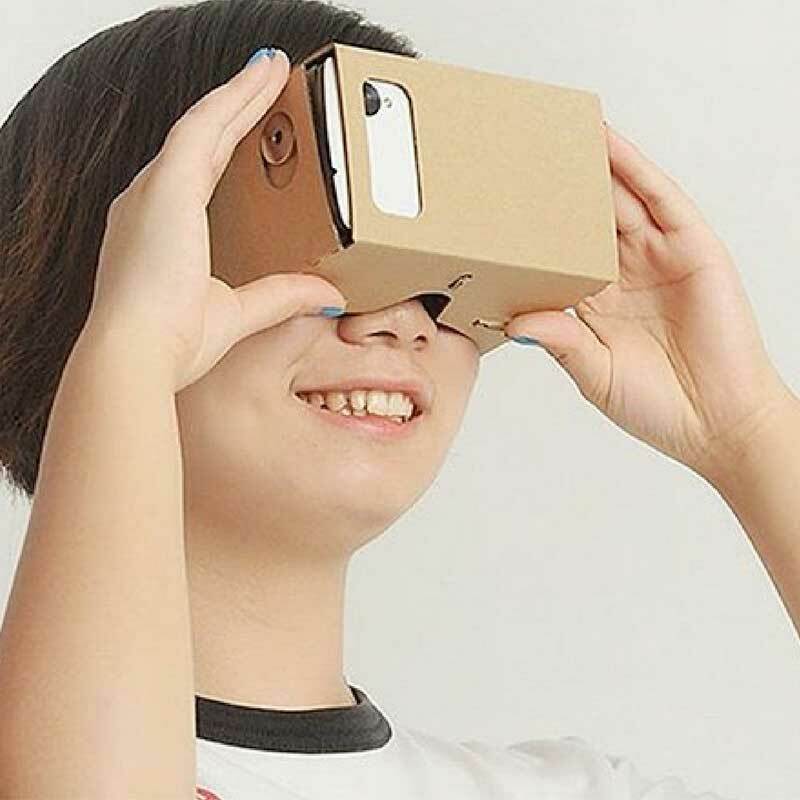 Thanks to Google, they’ve developed the Google Cardboard which uses your smartphone to provide a VR experience. And, we’re using this affordable alternative to teach kids about VR and how to make VR games. Our new course, VR GameMaker, is an 8-week course where the kids learn how to use the Unity program as well as get a basic introduction to C# coding. Because we will be using the actual software and computer language that professional game designers use, we must limit the registration to older children. (Parents of younger children, don’t despair! We’re currently working on a special VR course specifically geared towards your young ones!). Obviously, it takes more than 8-weeks of dedicated studying and tinkering to become expert in these programs. Our goal, with this course, is to give the students a basic understanding and familiarity with the software and coding involved in making a VR game and hopefully spur them to continue their learning. 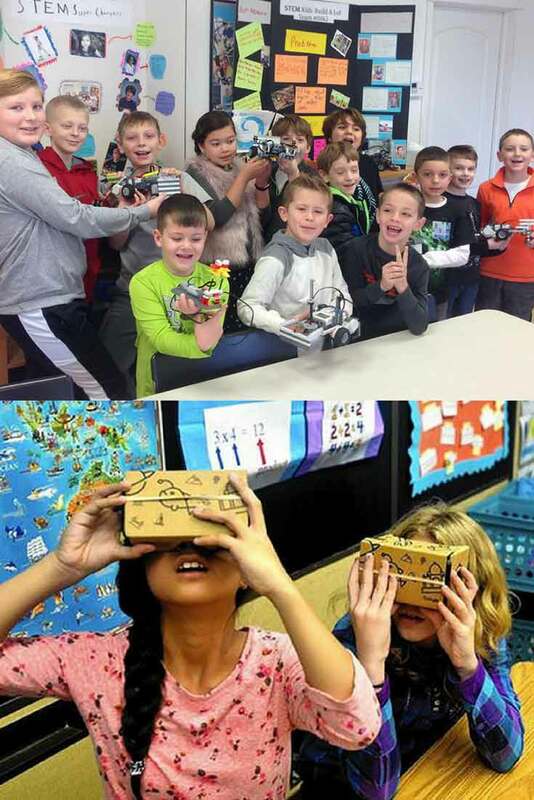 Yes, VR is exciting and new, but so are our Robotics and Minecraft courses! 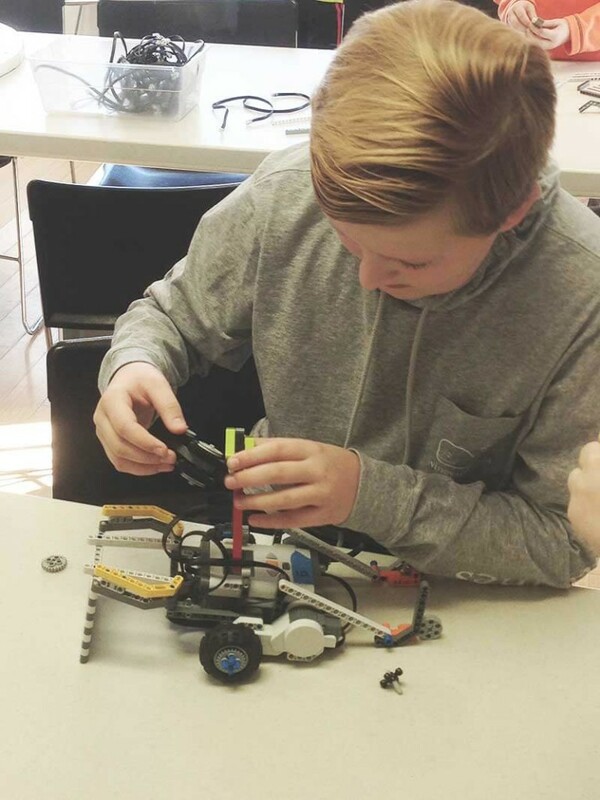 Returning in February are LEGO Robotics (Thursday, 4:30) and Minecraft Madness! (Tuesday, 5:30 or Thursday, 5:30 or Friday, 4:30). LEGO Robotics is such a great way to marry the children’s love of building with learning programming. For kids, there’s nothing more rewarding and exciting than to be able to “teach” the robot they just built to complete specific tasks. There’s only one section of robotics in February and March, so register early as they are very popular. And, importantly, 21st century skills of collaboration and teamwork and digital literacy.